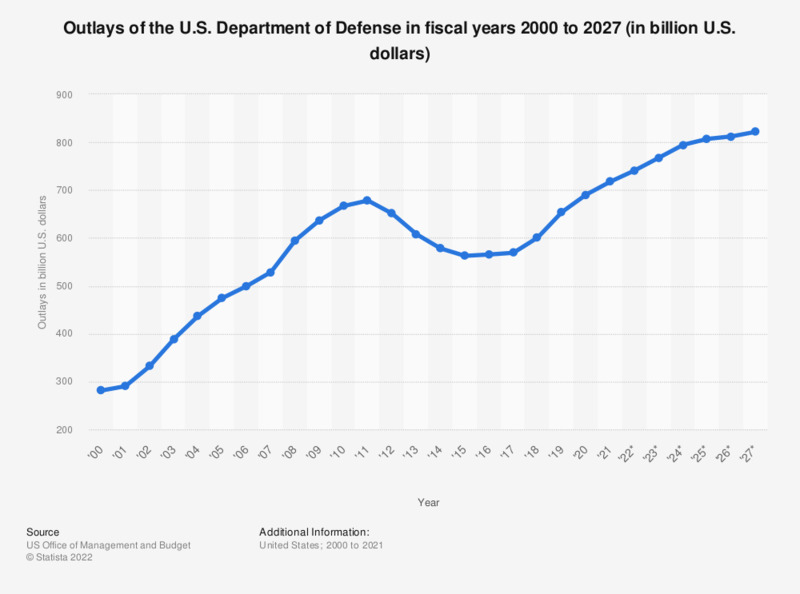 This graph shows the outlays of the U.S. Department of Defense in fiscal years 2000 to 2017 with estimated data until year 2023. The U.S. Department of Defense had outlays of about 568.9 billion U.S. dollars in 2016. The graph only shows the outlays for military programs of the Department of Defense.